When compared to other high density mobile filing systems, such as lateral or vertical filing cabinets, this filing system can actually decrease storage costs and allow to store more. High density mobile filing can handle all letter and legal size documents, office supplies, books, binders, equipment or virtually anything. Durable casters provide quiet and smooth mobile filing operation. The deck and rail assembly of the high density mobile filing system provide a safe, heavy-duty foundation that can be adjusted for carpeted, wood, concrete, or tiled floors. We is always made from high quality and long lasting mobile filing systems. 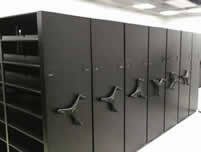 Our high density mobile filing shelving has superior strength to ensure many years of use. High density filing shelving units come with a limited lifetime warranty and are available in more standard sizes and styles than any other brand. 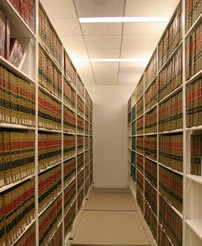 NationWide Shelving also has custom-sized widths and heights to give customers true design flexibility. High density filing shelving units are a favorite of agencies from healthcare, education, legal, financial, government, law enforcement, industrial, and food service. High density filing storage units are manufactured with 40 percent recycled steel and coated with an environmentally friendly powder coat that is safe for documents and items being stored. Our high density mobile filing will save you space over traditional stationary shelving. These eliminate the need for multiple aisles and replace them with additional shelving units, making the most use of your valuable space. Our highly trained designers will take the measurements of your space, and assure you get the most possible storage inches with your new. 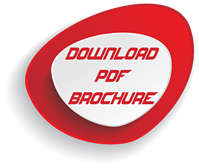 Whether it be a Manual, Mechanical Assisted, or Electrical High Density Mobile Filing Design, We have the know how, and product line to make sure you have the exact system to fit your needs. Before you commit to expensive lease space, give us a call. Many of our s will pay for themselves, just in lease savings alone! With decades of hands on design, installation, and manufacturing experience, no other shelving company has the expertise to match that of NationWide Shelving. 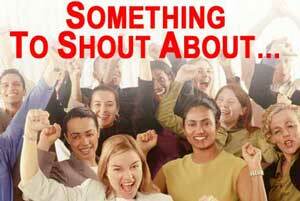 We have installed thousands of s all over the nation. We understand the storage challenges you face, and have designers ready to create innovative solutions. 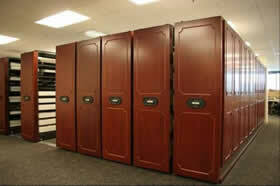 High density mobile filing systems uses modern technology to maximize storage space. Mobile shelving only takes half the space that stationary shelving uses, because aisles are not needed. 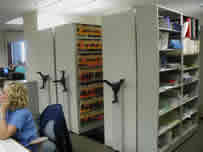 high density mobile filing systems condenses storage, but can be moved accordingly when a stored item needs to be retrieved. This is possible because of the rail system that guides each unit. The high density mobile filing system comes in two different types: mechanical or motorized. Mechanical high density mobile filing shelving has a wheel-like handle, which rotates as a user manually moves each high density mobile filing unit by hand. There is also an older style of high density mobile filing with a standard handle, which has to be pushed or pulled side to side. In comparison, motorized high density mobile filing operates on an electric system. A button key pad is placed on the high density mobile filing system, which allows a user to move each carriage into a desired position with ease. 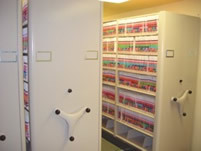 High density mobile filing has been used by many varieties of businesses, such as public libraries, athletic departments, lawyer offices, computer technology firms, healthcare facilities, law enforcement agencies, and more. 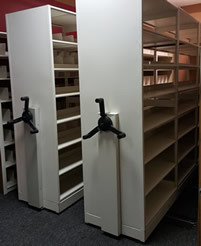 Not only can files and records be stored within high density mobile filing systems, but inventory in different shapes and sizes also easily fit inside on shelf levels. This includes, but is not limited to: athletic gear and equipment, medical supplies, computer hardware, weapons, retail inventory, books, and more.